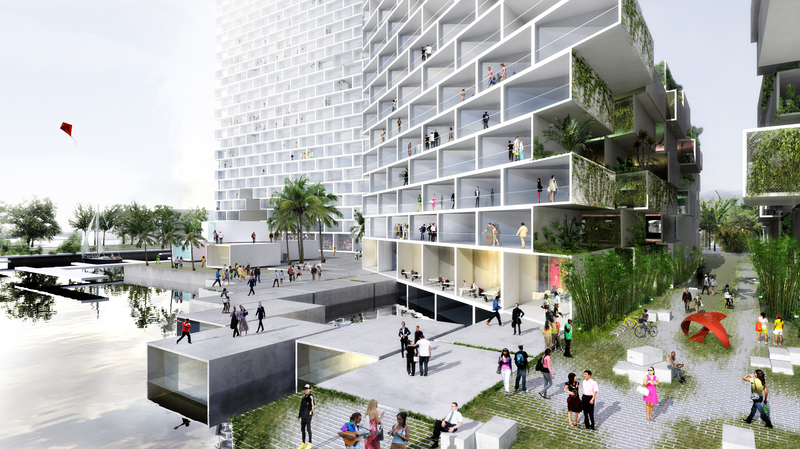 Will naysayers derail an improved downtown Fort Lauderdale? Some Fort Lauderdale residents seem to think they are still living in a small beach town rather than the biggest city in a county with 1.78 million people, which is why the Dec. 7 print edition of the Business Journal is highlighting the new Marina Lofts project by developer Asi Cymbal. In the past, anti-growth factions in the city have derailed promising projects, such as the Palazzo at the foot of the Las Olas bridge. Palozzo would have replaced a surface lot with a mixed-used urban village development of condos and retail. The city initially gave a green light to the developers, but then some residents expressed opposition and a new commission pulled its support. As a result, the city was sued for more than $40 million and finally settled last year by paying out $475,000. The site remains underutilized as a parking lot. The Related Group also planned Icon Las Olas on land it bought about 14 years ago next to the Stranahan House, which also ended up in extended litigation. The historic structure, which is a real gem in the city’s history, has been hidden for decades behind a supermarket. The result of the court fight is that it has been hidden for yet another decade behind the chain link fence that surrounds the Related site. In contrast, Related has been willing to create a plaza that would have brought better visibility to the house. The court fight is finally over and Fort Lauderdale Mayor Jack Seilertold reporter Oscar Musibay that he hopes something can be worked out, so we’ll see what happens. If city residents are still concerned about a tall building next to Stranahan House, the city should either pay Related for the site or swap a city-owned beach parcel for it, an idea that has been floated in the past. I had coffee with Cymbal this week and he’s very articulate about the benefits that Marina Lofts could bring to the downtown area. He’s also been adapting the layout and size of his project to help meet some residents’ concerns. He plans to make his rentals affordable enough to attract young professionals. That would be a good mix for downtown, which tends to skew on the affluent older demographic. In general, too many kids grow up in Broward County and never come back after college because it falls short in offering the hip urban vibe seen in many other major cities. Miami has made great progress in creating this type of vibe downtown, on Brickell Avenue and in Midtown, but Fort Lauderdale lags in comparison. Marina Lofts fits in with what I would call highest and best use of property. Currently, it houses low-rise, marine-oriented businesses. Still, Cymbal has wisely moved to marry his project with the past by keeping the marina, planning 200-dry stack storage spaces and continuing to accommodate the Water Taxi and the Pirate Republic Bar and Seafood Grill in new space. The influx of new residents would help ensure the success of the city’s upcoming The Wave trolley system. In studying urban geography in college many years ago, it was clear that rivers are huge psychological barriers to pedestrian traffic, so the trolley on tracks is a way to foster movement around the downtown area. Marina Lofts would provide an amenity to other downtown residents with restaurants, lounges and a river front promenade. Cymbal was involved in development of the Gigi restaurant and Bardot bar and lounge in Miami’s Midtown area, so he has a track record. Marina Lofts also could be a hub for other future mass transit development, such as the All Aboard Florida high speed service to Orlando or the addition of Tri-Rail to the Florida East Coast Railway tracks. Cymbal is open to a station and his project is just across the tracks from a new Related Group project as well. Some of those who support the historic pioneer village are worried about the views across the river that Marina Lofts would create. I’d argue that Cymbal has hired a world-class architect, Bjarke Ingels, who is the subject of a glowing New Yorker profile. Rather than staring at aging buildings, the historic district riverwalk could offer a view of a world-class project. While the city’s historic board might be trying to protect the district, they are actually doing a disservice to businesses in the area by rejecting Cymbal’s initial concept. Las Olas Riverfront has struggled from a lack of foot traffic and the city is seeking to revive the site of the River House restaurant, which needs about $1 million in renovations. Cymbal told me he has support for his project from some of the arts community in the Flagler neighborhood and he sent an email showing the Esplanade condominium association next door to the Marina Lofts site is offering its support. Cymbal is inviting others to lend their support by offering a form that will send a message to the mayor and city commissioners. The business community would be wise to offer its support since the project would help create construction jobs and ensure a vibrant economic future for the city’s downtown. Otherwise, the naysayers may have another notch in their belt.